Lloydia is a bulbous genus in the Liliaceae family, consisting of some 12 species. All the species are found in the temperate northern hemisphere with one exception, Lloydia serotina, very widespread from the Arctic to the Alps and from Europe to Asia. 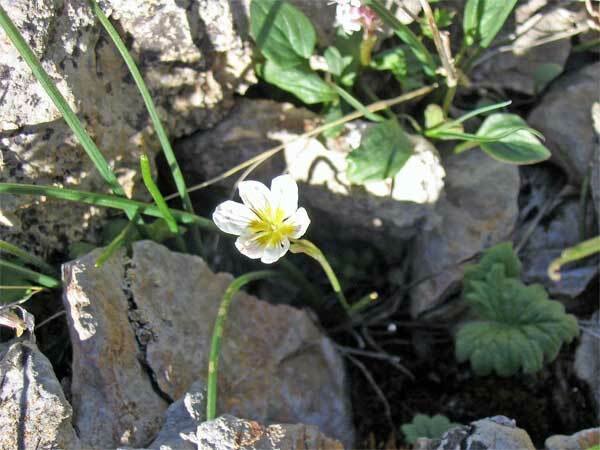 They are all small, slender plants with bell-shaped flowers. 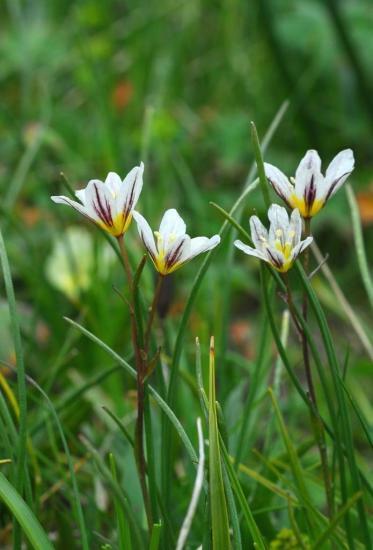 The genus is named for 17th century Welsh botanist Edward Llwyd (or Lhuyd); all recognised species of Lloydia are now included in the genus Gagea (see M. Zarrei et al). Lloydia delavayi - One of the largest species in this genus, 20-35 cm with 1-5 pendulous flowers. 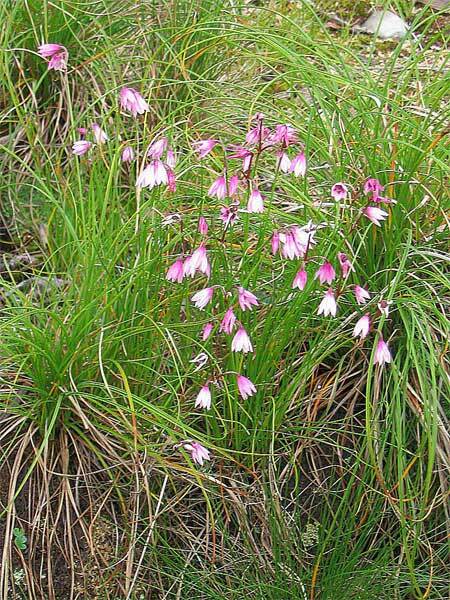 Growing in rocky, wet habitats at high elevetions. Photo was taken in NW Yunnan by Oron Peri. 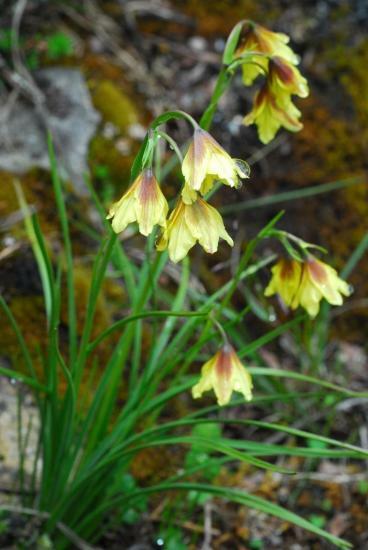 Lloydia longiscapa - A species found on the Himalaya and in Western China. This one was photographed by David Victor on 99 Dragon Pool Mountain, near Jianchuang, Yunnan, China in July 2005 at a height of some 3,900 m.
Lloydia serotina - The widely spread species referred to in the introduction. 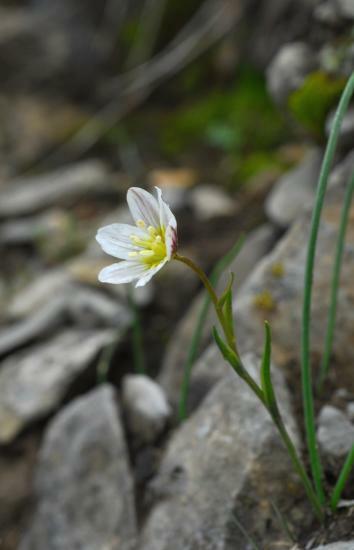 It is a well known, though rare, plant in the United Kingdom, where it is known as the "Snowdon Lily", as it grows on Mount Snowdon. First photograph was taken by David Victor in June 2004; second and third photos were taken by Oron Peri in June 2011 at the same location, Ulkun-Kyindi Pass, in Kazakhstan, at a height of some 3,300 m.